This is a very comfortable ,Extra sturdy safe heavy duty swing seat for both kids and adult, Enjoy the happy time with your family and friends Do Your Children Have a Flying Dream ? Kids at the age of 3-8 years often have the dream of flying like bird or butterfly, It is So Free and Beautiful to fly When children playing Swing, they find the filling of flying and they want even higher and higher and non-stop. Why Choose ChildMate Swing seat for your lovely ones ? * Specially selected Material, Make the Swing High quality. Safe to play and Durable to use. * The Swing seat is widely enjoyed by kids from 3-12 years old* We encourage parents enjoys more leisure time with kids, which will be good memory for kids lifetime. 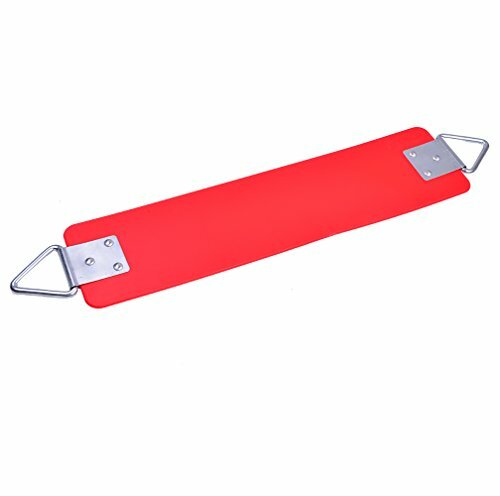 Specification: 1.Material:AVA plastic + Stainless steel Hook2.Measures:76.5*15*0.7cm4.Maximum afford: 300kg /660 LB5.Weight: 0.85KG What is in package ? 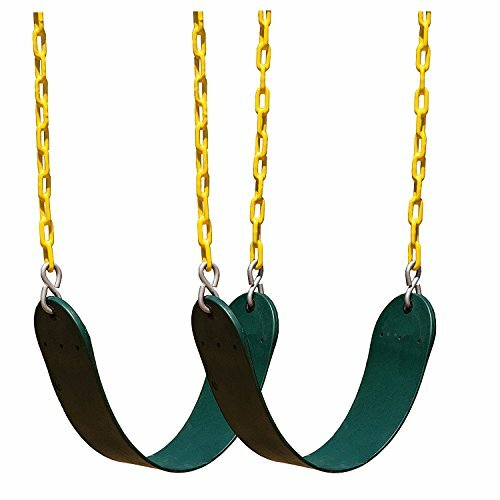 1 x Polymer swing Belt SeatIt is also a great gift for girls and boys over the age of 3, Whether it be a birthday, holiday You can help your kids realize their flying dream by sending them this swing gift.and expect hours of outdoor playing time. BUY IT NOW ! The swing seat should last up to 5 years in optimal conditions. If in harsh conditions, it should last around 2 years. Some conditions may require replacement sooner. 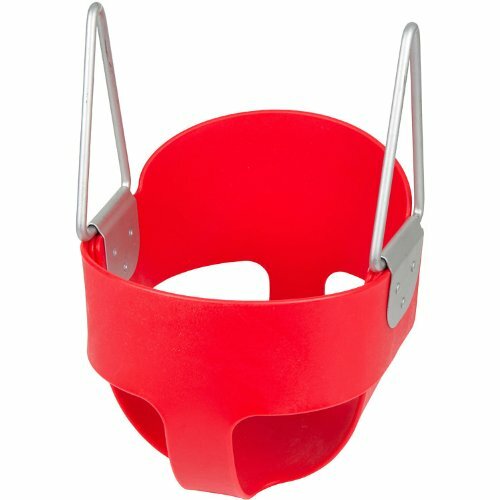 The swing seat has a moulded non slip surface making it safe and comfortable to use. And the curved oval design of the flexible seat provides a comfortable ride. 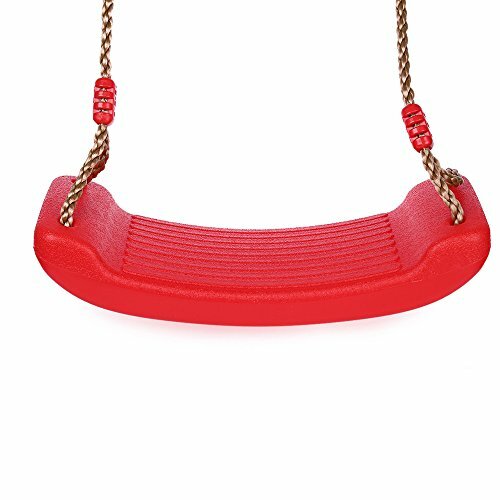 The swing seat are tested for lead, phthalates and tensile strength. It is safe and non-toxic. We make sure that it will not be harmful to your kids' skin and body. To help keep children safe from harm, Children under the age of 7 should be accompanied by adult when using it. 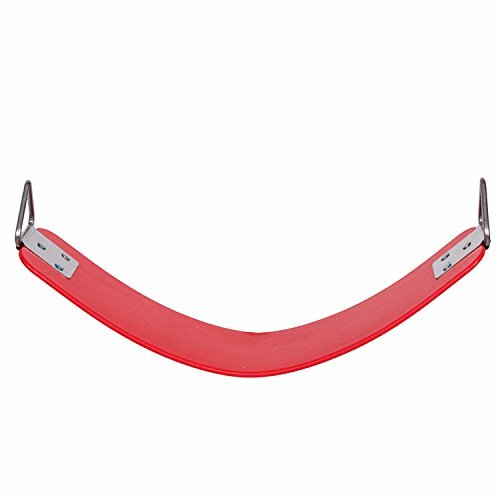 Specification: 1.Product: Swing Seat + Metal Triangle Buckle 2.Seat Size: 25.6"*5.9"*0.26" 3.Maximum Weight: 200 kg /440 LB 4.Material:Polymer 5.Does not include chain or hardware to attach. 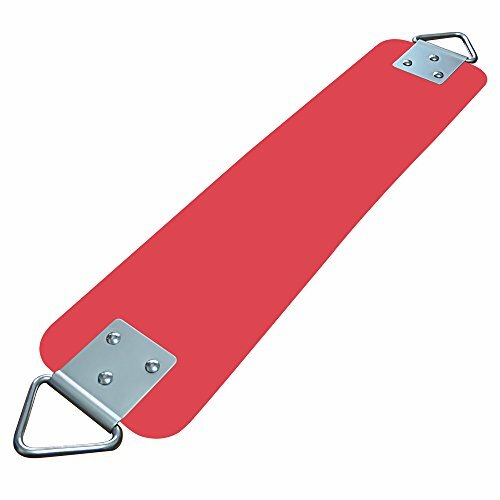 Specification: 1.Material: Polymer + metal 2.Measures:77.2*15*0.7cm 4.Maximum afford: 300kg /660 LB 5.Weight: 1KG Package include: 1X Polymer swing Belt Seat Note： The spring clip and chain are not included. If you need them, please kindly search ASIN：B00RB75C44 & B00NZUMN8Y. Buy SWING now and Have a great time with kids!!! Please search B00RBCVY5U for Yellow swing seat; B00RBCVVBC for Red one; B00NZUML7M for Green one. Built for durability and comfort This swing is the perfect addition to any swing set or backyard. The durable construction is built to accommodate up to 200 pounds which means adults can join in the fun too! Swing into spring and summer afternoons on this comfortable swing. This swing seat is reinforced yet still flexible to conform around your body. You are sure to enjoy this swing for hours on this wide seat. 100% MONEY BACK GUARANTEE: Happy customers give us high ratings, so we're confident that you'll love it! We're SO confident that you'll love this swing that it's backed by our 100% Money Back Guarantee. If you don't love it ­ *for whatever reason* ­ we'll replace it or give you every cent back. That means that you either love it, or it's free! This is a high back full bucket seat. This seat has rust resistant hardware made on the sides. This seat is excellent quality and is one of our best sellers. You will not be disappointed with this seat. We have green, yellow, red, pink or blue. Built for durability and comfort. KitPro swing seat is the perfect addition to any swing set or backyard. The durable construction is built to accommodate up to 330 pounds which means adults can join in the fun too! Swing into spring and summer afternoons on this comfortable swing. You are sure to enjoy this swing for hours on this wide seat. 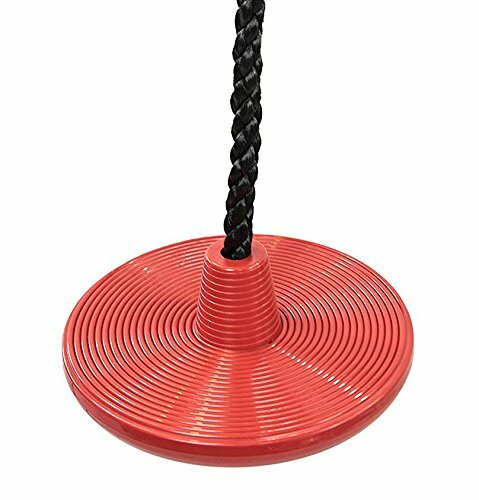 Feature Material:PE Accessories:2 X 2m Brown Rope Size:16" X 7.5 " X1.1" (L X W X H) Package:1X swing seat with Rope Weight limited:330lb Color:Red This swing is the PERFECT addition to any swing set or backyard. 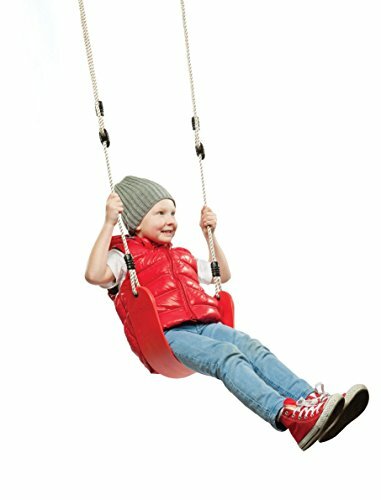 Looking for more Red Swing Seat similar ideas? Try to explore these searches: Folding Brake, Color Protect Henna, and 3 Qt Plastic Mixing Bowl. 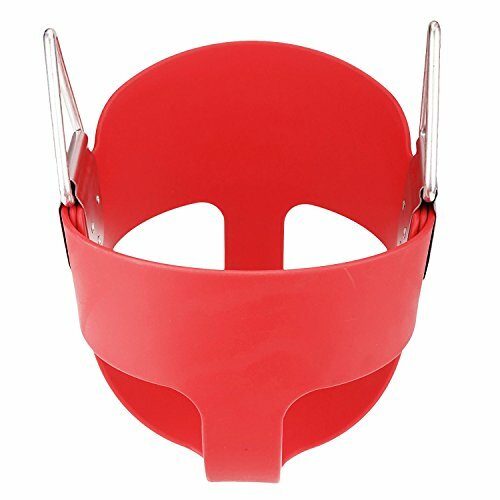 Shopwion.com is the smartest way for comparison shopping: compare prices from most trusted leading online stores for best Red Swing Seat, Blade 24k Plated, Hanging Lamps Lead, Swing Seat Red . 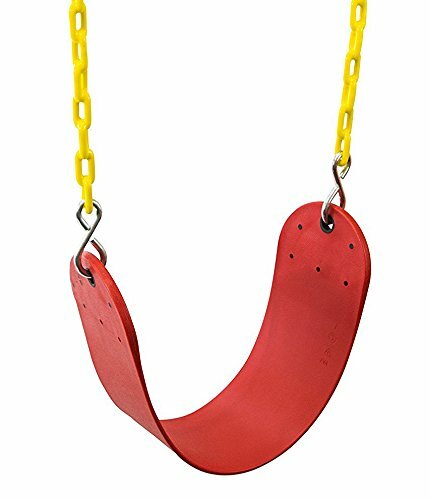 Don't miss this Red Swing Seat today, April 20, 2019 deals, updated daily.